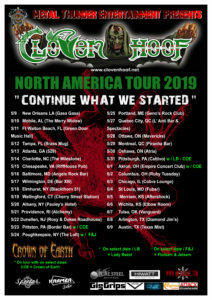 Here are the dates for the bands eagerly awaited North America and Canadian tour 2019. Making a triumphant return to US soil the band is back by popular request thanks to the incredible response from the fans. They want to thank you all and promise further dates to be added at the end of July and August. Watch this space!